Map with The Kivik Grave as a red point. 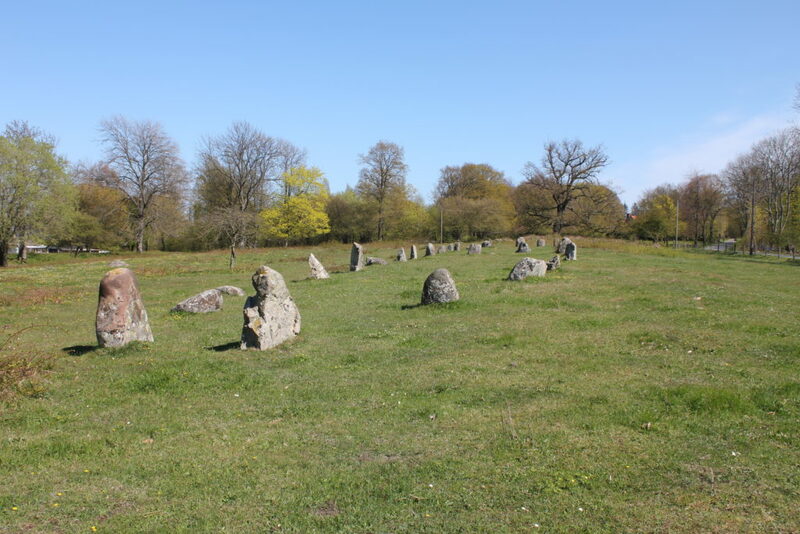 Just east of the Kivik Grave one finds oneself on an open field with a mighty stone ship in the center. Around it, if you look closely enough, you’ll find over one hundred graves. All of them from the Bronze age to the early Iron Age, somewhat around 1500 BC-500 AD. The stone ship is 60 m in length. A little bit more to the east, just past the stone wall among the big old oak trees, two cultural house foundations emerge. These are rare, only around 60 are known in Sweden. We don’t know the function, but they are only situated in connection to big grave fields and big monuments. One of the two is reconstructed in 1930’s after an excavation. There are no graves inside the feature, as a matter of fact, there is nothing at all inside the walls. No objects, no posts no nothing. In the stone walls there is no post holes, no entrance/exit gap or artefacts. That tells us that there has never been any walls or roof. It seams as the enclosure has been determined by the stone foundation and the rest of the house has been imaginary. This is the same in all the cultural houses we know about. On the north side of the stone ship, just across the bog, one finds an erected stone inside a stone circle. 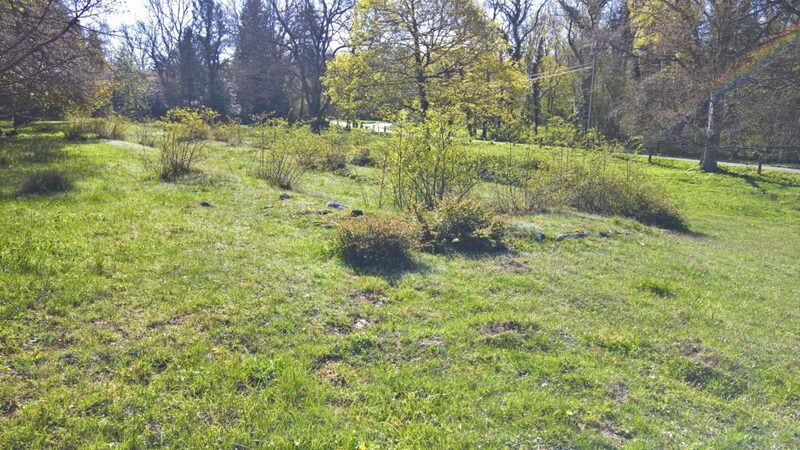 At least five graves have been found inside the circle. 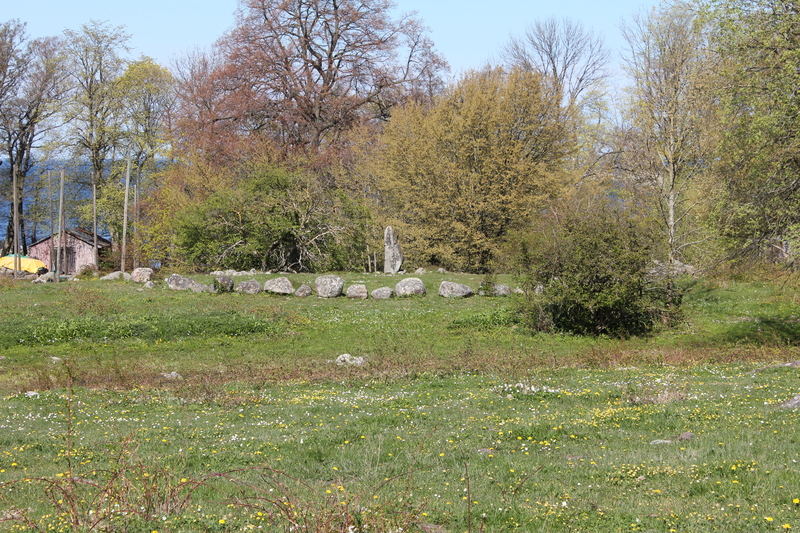 Today you can see all the graves and stones but in the Bronze Age it probably was covered in soil, turf and grass. The erected stone is called “Penningstenen”, “The money stone”, from moderns days sacrifices for better fortune. There is no doubt that this is a very mystic place. All these reminders of the dead ancestors. One can imagine how it tingled in the stomach and the nervousness raised the closer one got. A dead person was not a “dead” person. A piece of them stayed on the earth watching over the people and told the gods and goddesses if the living not fallowed all the rules. In the house someone maybe was placed after he or she died to wait for the next stage in the transition. The living watched over the dead and helped in all the ways they could. To live along the side of the dead was probably as complicated as to live along the side of the living. Copyright © 2019 Asmiroca Kulturarvsupplevelser. All rights reserved.